This coordinating table and four chairs set brings a Mediterranean vibe to the garden. The terracotta inlays on the backrest of each chair correspond with the surface of the round table. 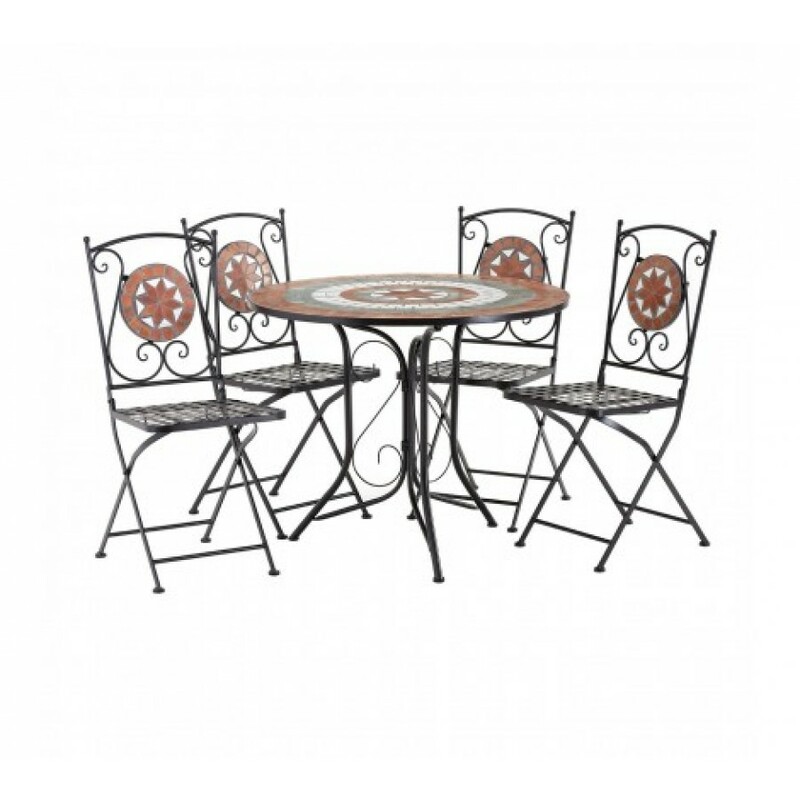 Both table and chairs are made from strong and stable wrought iron, enhanced by elegant curling metalwork. Flat circled feet gives each folding chair added stability.